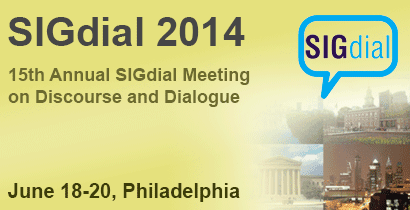 The 15th annual SIGdial Meeting on Discourse and Dialogue was held on June 18-20, 2014 in Philadelphia, Pennsylvania, USA. The SIGDIAL venue provides a regular forum for the presentation of cutting edge research in discourse and dialogue to both academic and industry researchers. Continuing with a series of thirteen successful previous meetings, this conference spans the research interest areas of discourse and dialogue. The conference is sponsored by the SIGDIAL organization, which serves as the Special Interest Group in discourse and dialogue for both ACL and ISCA. 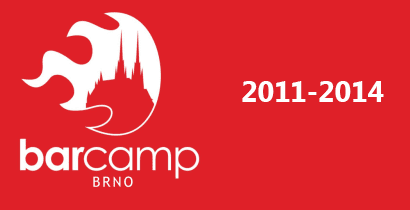 We are very happy to host Barcamp Brno 2014 video recordings and slides. This event is getting bigger and better every year and therefore attracts more attendees. The program is always very rich and brings you lectures of top selected speakers. Attendees can select from lectures presented in 5 parallel sessions. And that's exactly where video recordings come in handy as you can't be physically present at more lectures at the same time. You can now watch all recordings. And while watching, try out our unique search in speech. It can greatly help you mine the important information you are looking for.